Delivers the clear, crisp images needed to find problems fast with its 320 x 240 sensor. No need to carry pen and paper—record findings by speaking into the imager. Voice annotations can be recorded with every image you take. Voice comments are saved along with individual images for future reference. One-handed focus capability, emissivity correction, reflected background temperature compensation, and transmission correction increase the accuracy of measurements in most situations. Adjustable hand strap for left-or right-handed use. Everything needed to get started is included. 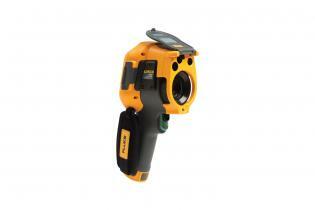 Optimized for field use in challenging work environments. Engineered and tested to withstand a 2 m drop for the ultimate peace of mind - When was the last time you dropped a tool or piece of equipment? Withstands dust and water—tested to an IP54 rating. We know you work long hours in the field. That’s why we built this camera tough, so you can quickly and easily move from job to job. 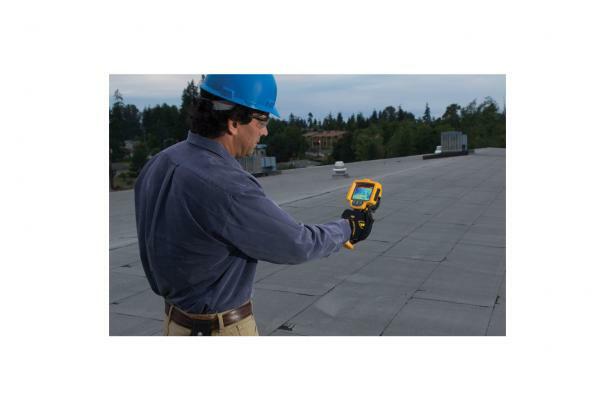 The TiR32 can save you time and money by allowing you to quickly identify building application problems and cut energy waste. 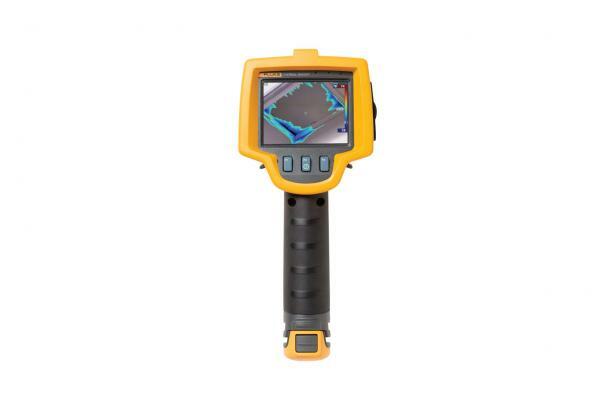 Combining powerful 320 x 240 resolution with IR-Fusion® Technology, the blending of digital and infrared images into a single image, the TIR32 delivers strikingly crisp detailed images, making problem detection extremely easy. The TiR32 also produces partially transparent images that help you identify issues and report findings easier (AutoBlend™). 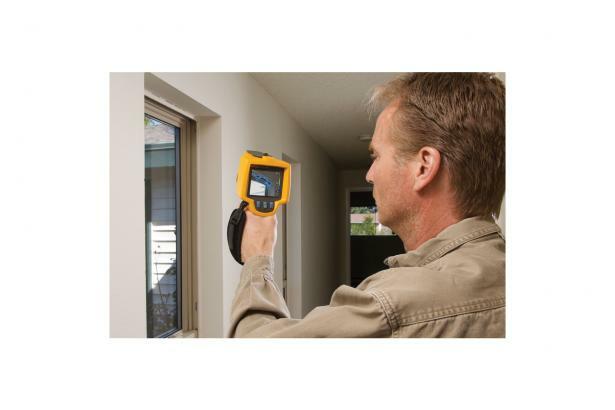 With thermal sensitivity of ≤ 0.04 °C at 30 °C (40 mK) and temperature ranges from -20 °C to 150 °C (-4 °F to 302 °F) the TiR32 is ideal for all building applications including energy audits, weatherization and restoration. Field installable telephoto and wide angle lenses are available for added versatility for special applications and voice annotation makes pen and paper no longer necessary. 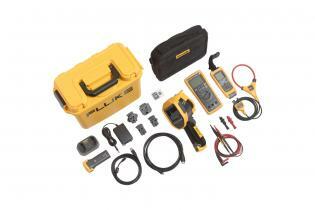 For applications that require a high temperature range and low thermal sensitivity (NETD), the Fluke Ti400 is an alternative choice. It features wireless connectivity for quick and easy sharing of images, LaserSharp® Auto Focus for consistently in-focus images – every, single, time and a ruggedized high resolution 640 x 480 capacitive touch screen for quick menu navigation. 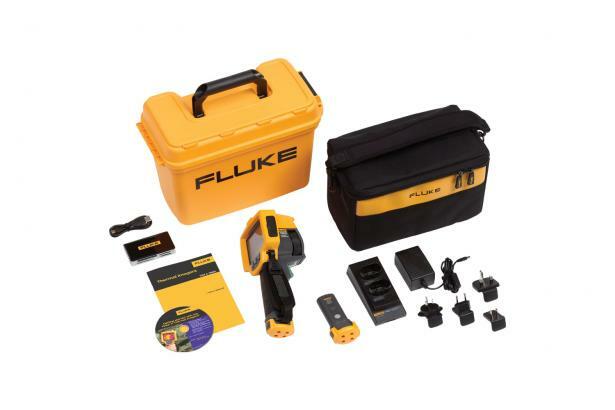 As always, Fluke SmartView® Software is included at no additional charge. The Ti32 allows user to adjust palette, blending, level, span, IR-Fusion® mode, emissivity, and reflected background temperature compensation, and transmission correction on a captured image before it is stored. User selectable backlight: "Full Bright" or "Auto"
AC battery charging Two-bay AC battery charger (110 V AC to 220 V AC, 50/60 Hz) (included), or in-imager charging. AC mains adapters included. Optional 12 V automotive charging adapter. AC operation AC operation with included power supply (110 V AC to 220 V AC, 50/60 Hz). AC mains adapters included.